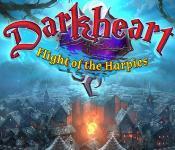 Darkheart: Flight of the Harpies. 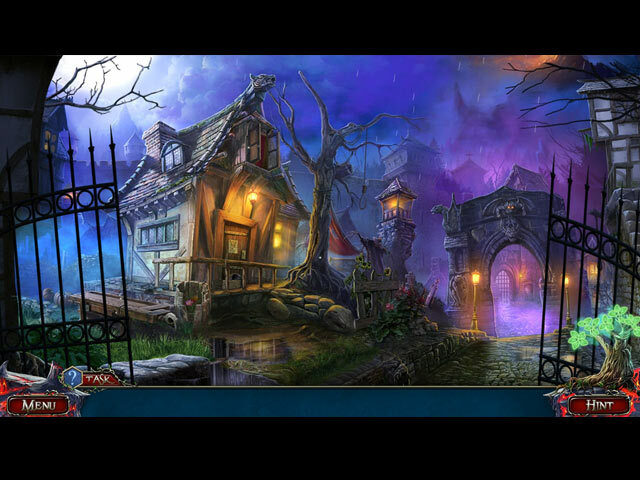 Darkheart: Flight of the Harpies: Challenge an evil presence in this chilling hidden object adventure and save your loved ones before it's too late! Legend spoke of an evil magician who possessed the secret of eternal life which required that he steal the souls of unsuspecting villagers. It seemed as if no mortal soul could stand against this dark power but, according to an ancient prophecy one day there would be someone brave enough to face it! The dark mage sent his Harpies to seize a fresh supply of souls. This time they took your parents! Can you save them in time? Darkheart: Flight of the Harpies Walkthrough.